AEAC has also received a temporary FAA registration for the aircraft and will begin the next stage of testing including ground, taxi, and pre-flight tests as they work toward the aircraft's first flight test. The Sun Flyer has received a temporary FAA certification. 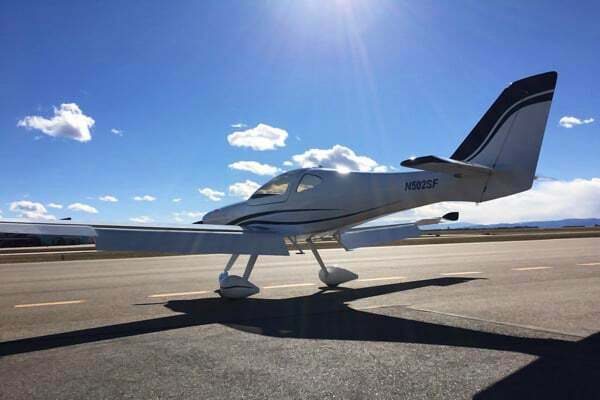 After first revealing the Sun Flyer prototype for the all composite two-seat trainer aircraft back in May, Aero Electric Aircraft Corp has been busy. And, after completing engineering reviews and inspections, the company has revealed that power on tests for the aircraft started in October. According to the company, they have also received a temporary FAA registration for the aircraft and will begin the next stage of testing including ground, taxi, and pre-flight tests as they work toward the aircraft’s first flight test. AEAC intends for the Sun Flyer to be the first FAA-certified, US-sponsored all electrical aircraft, and is being positioned to primarily for the training and general aviation markets. According to the company, the Sun Flyer, with solar cells on the wings, a 400-volt lithium-ion battery pack system, and a 100-kilowatt electric motor, will feature a low operating cost, low aircraft unit cost, low noise, and no exhaust pollutants. Aero Electric Aircraft Corp. (AEAC) has revealed the prototype for their solar-electric flight trainer called the Sun Flyer. They presented the Sun Flyer prototype on May 11th at Centennial Airport, and what was revealed definitely looks promising. The presentation was a static display, and this marks the first time that the 2 seat POC prototype has been shown to the public. Though there were no test flights at the reveal, performance data gathered by this prototype will be used to inform the final design of the aircraft. George Bye, CEO and Founder of AEAC, stated that this is the first in a series of complex steps towards being able to finalize the design of the Sun Flyer and have it certified by the FAA. Spartan College of Aeronautics and Technology CEO Peter Harris announced during the event that they have reserved five additional Sun Flyers. Spartan, a valued development partner of AEAC, had previously reserved the first 20 positions on the Sun Flyer delivery roster and had signed an agreement with AEAC to create a complete training system for the Sun Flyer.